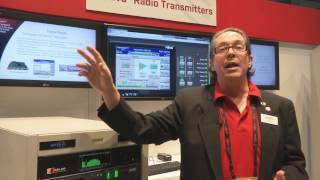 The Flexiva™ Compact air-cooled FM solid-state transmitter family provides today’s broadcaster with a single transmission platform capable of analog and digital operation. Incorporating field-proven GatesAir technology, Flexiva transmitters deliver world-class performance, reliability and quality. Flexiva is designed for low- and high-power requirements, up to 80 kW, while utilizing the most compact design on the market today. 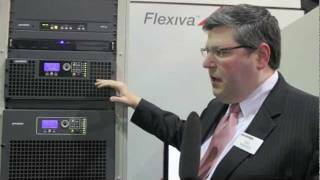 Flexiva continues the legacy of the highly successful line of GatesAir FM transmitters and combines innovative, new quadmode RF amplification and software-defined exciter technology to take FM transmission to the next level. Featuring PowerSmart® technology, the Flexiva line offers unmatched efficiency that makes it ideal for all FM applications. The 50-volt LDMOS device technology delivers a dramatic increase in power density, lower operating costs and reduced cost of ownership over the life of the transmitter. As the digital transmission leader, GatesAir has developed a solid core competency backed by years of experience in the complex technical areas that are essential for maximum transmitter performance. 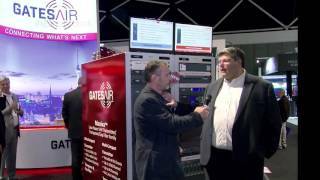 Customers can count on GatesAir for implementation. The company offers a range of support options from standard 24/7 telephone technical assistance and parts to installation, training, full system design and field maintenance contracts.